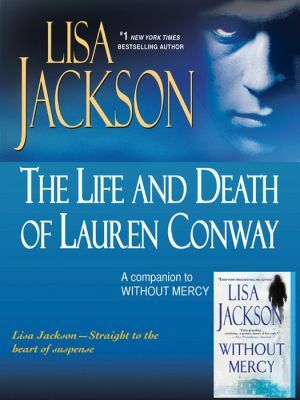 Go inside the dark history of the Blue Rock Academy and learn more about the twisted past that made this school a hunting ground for a ruthless killer...and what became of one of the school's most infamous alumni in this companion to the New York Times bestseller WITHOUT MERCY. From #1 New York Times bestselling author Lisa Jackson comes a pulse-pounding thriller that goes behind the doors of an exclusive academy with a terrifying secret. . . Ever since her father was stabbed to death in a home invasion, Julia "Jules" Farentino has been plagued by nightmares. Her half-sister, Shaylee, now seventeen, has had her own difficulties since the tragedy, earning a rap sheet for drug use, theft, and vandalism. Still, when Jules learns of her mother's decision to send Shay to an elite boarding school in Oregon, she's skeptical. The Academy has a reputation for turning wayward kids around--but one of its students went missing six months ago and her body has never been found. There are rumors she may have died during one of the school's questionable treatments. Once enrolled, Shay grows fearful, convinced her every move is being watched. And the deeper Jules digs, the more concerned she becomes. On impulse, Jules applies for a teaching job at the Academy. Though the facility boasts state-of-the-art equipment and a breathtaking campus, Jules senses cracks in the director's do-good demeanor. Shortly before Jules arrived, a student was found hanged, and a hysterical Shay believes it was murder. Staff members are wary and unwelcoming--all except Cooper Trent, another recent hire who has his own suspicions, and his own secrets. Then another girl goes missing, and yet another is found dead. There's no doubt something sinister is at hand--but Jules may be too late to stop it. Behind the Academy's idyllic veneer lurks an evil force on a brutal and terrifying mission. And Jules has become the next target of a bloodthirsty killer without limits, without remorse, without mercy. . .